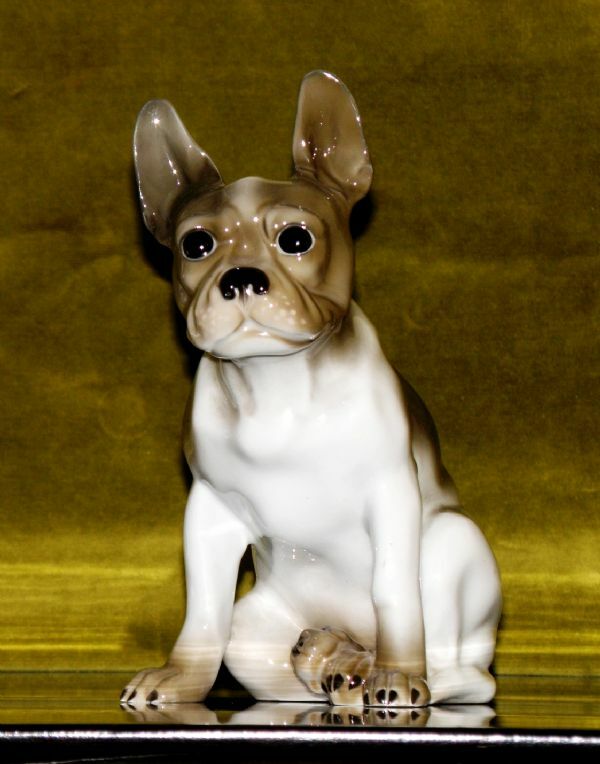 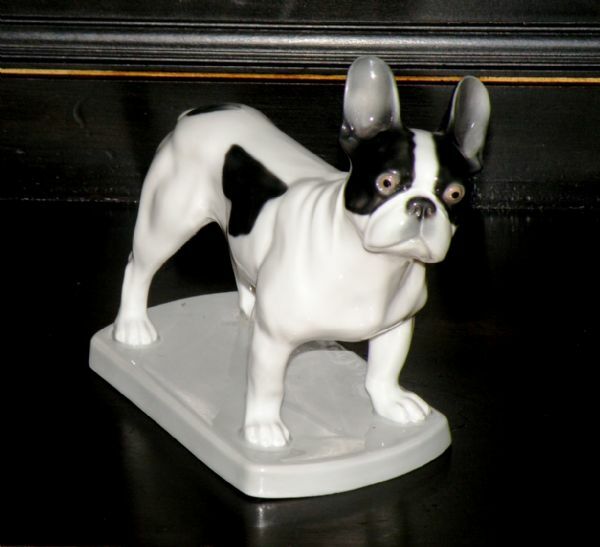 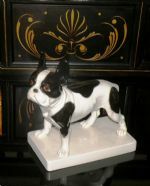 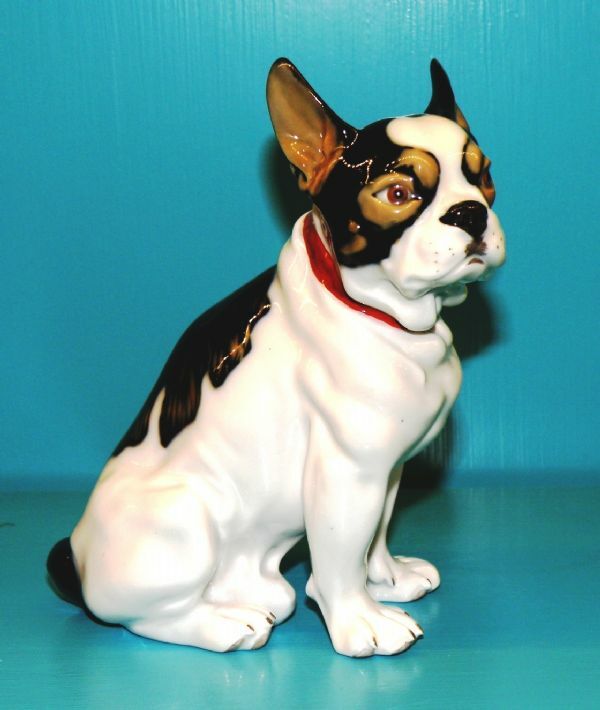 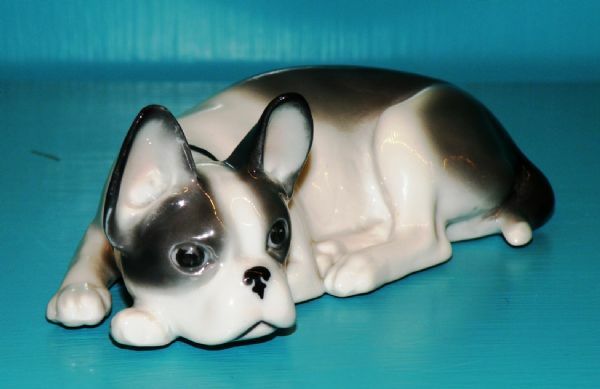 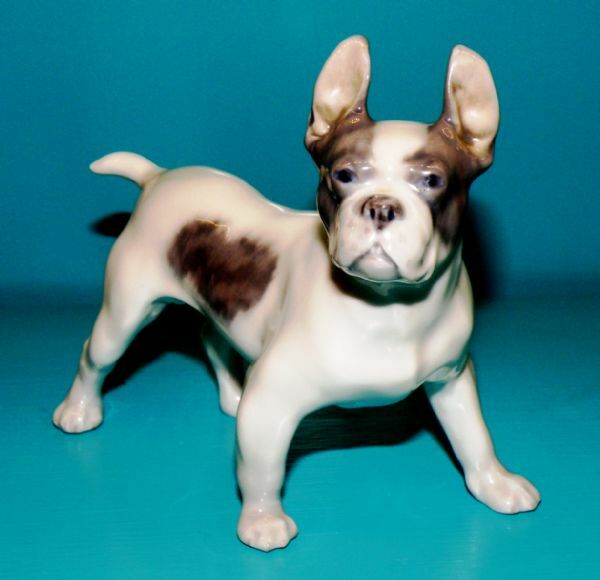 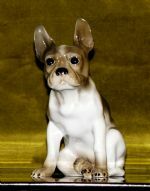 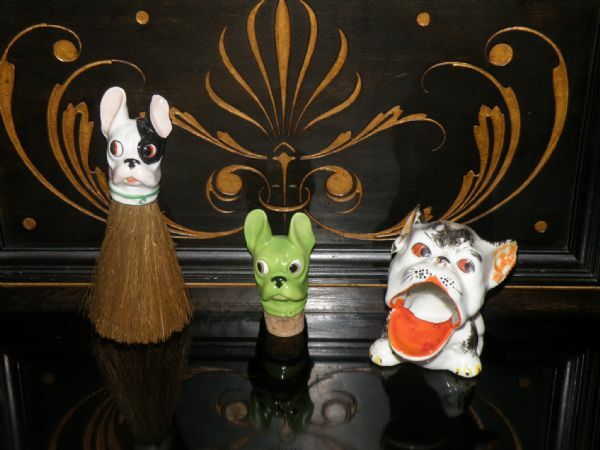 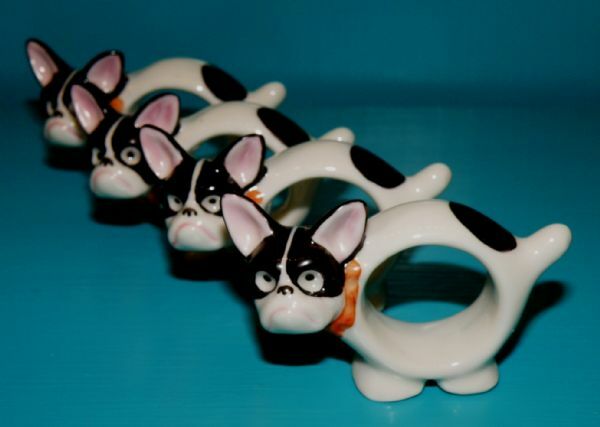 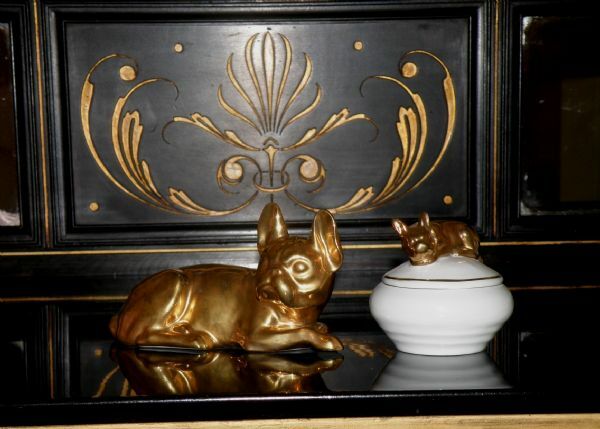 Lem and I would love to share our French Bulldog collectables with you. 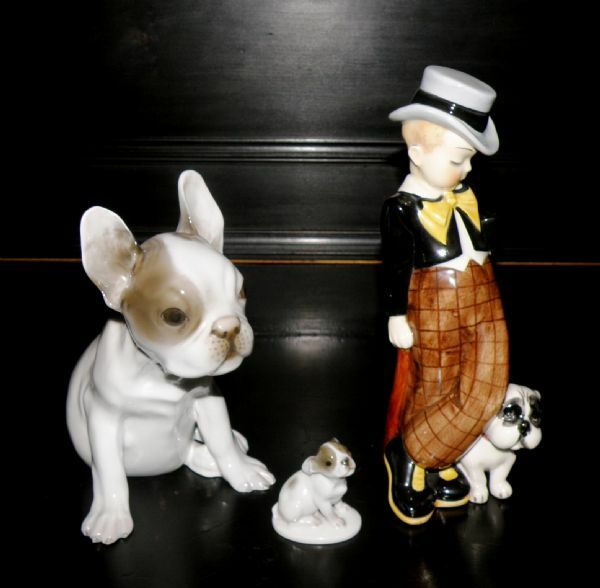 No point in owning such beautiful things and squirreling them away out of sight. 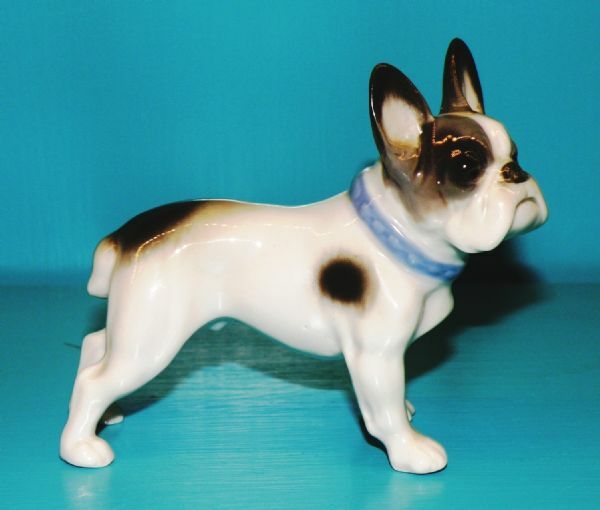 We have some lovely pieces that can be difficult to find, the more common pieces and then the fun frenchies. 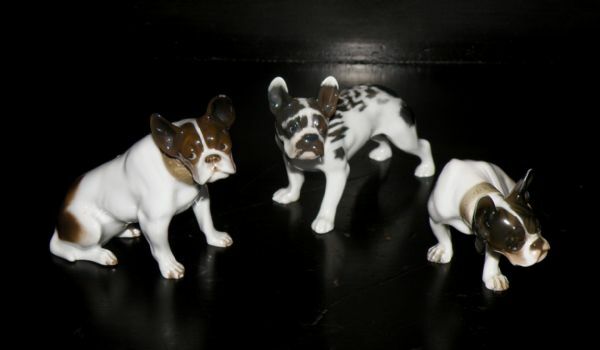 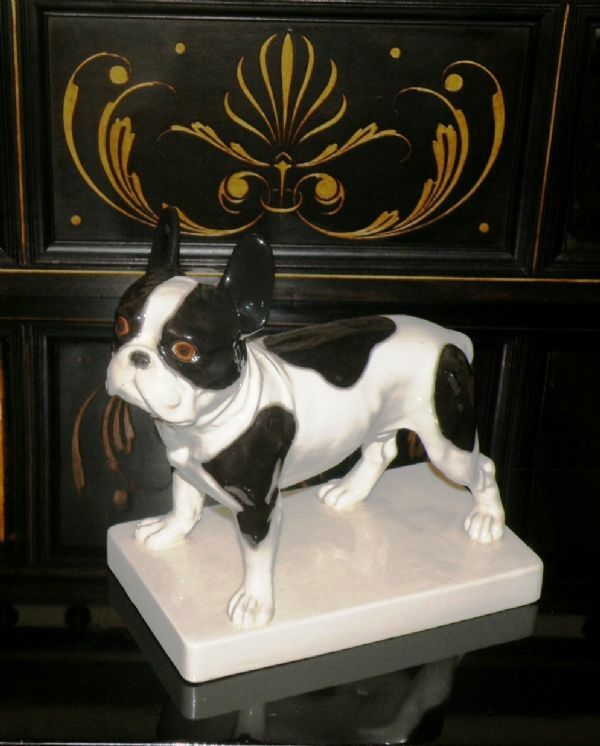 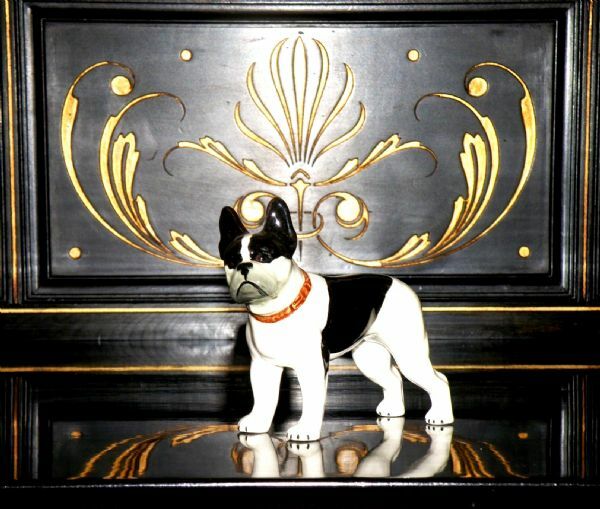 French bulldogs made of porcelain, bronze, metal, glass, and wood. 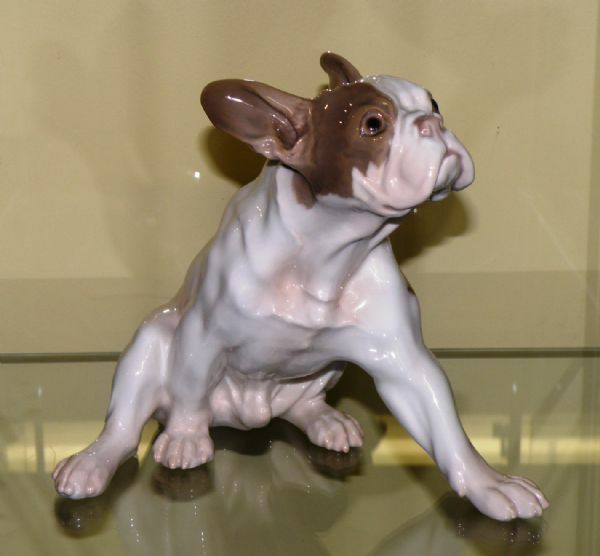 As time permits we will be adding photos of our collectables to be viewed. This wonderful companion, a comical breed that has found a place in the hearts of many from the late 1800's, early 1900's until this day. 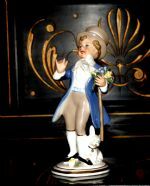 Artisans depicted them in paintings, figurines, books/book ends, trinket dishes, lamps, brushes, lighters, ashtrays, hood/bonnet ornament, salt and pepper shakers the list is endless. 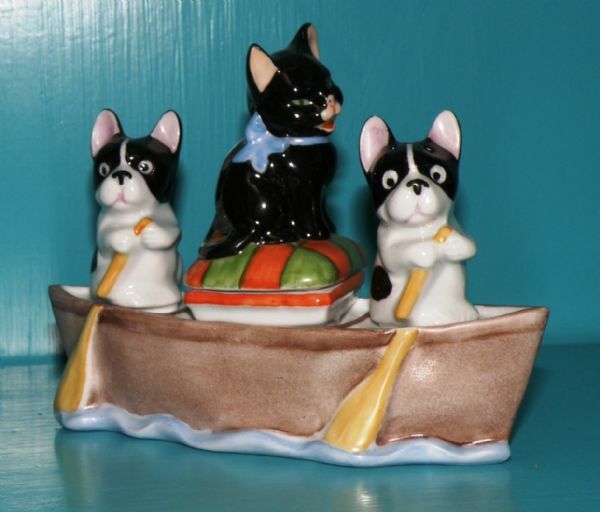 German Frenchie pepper & salt shakers, the cat lifts off where the mustard can be found. 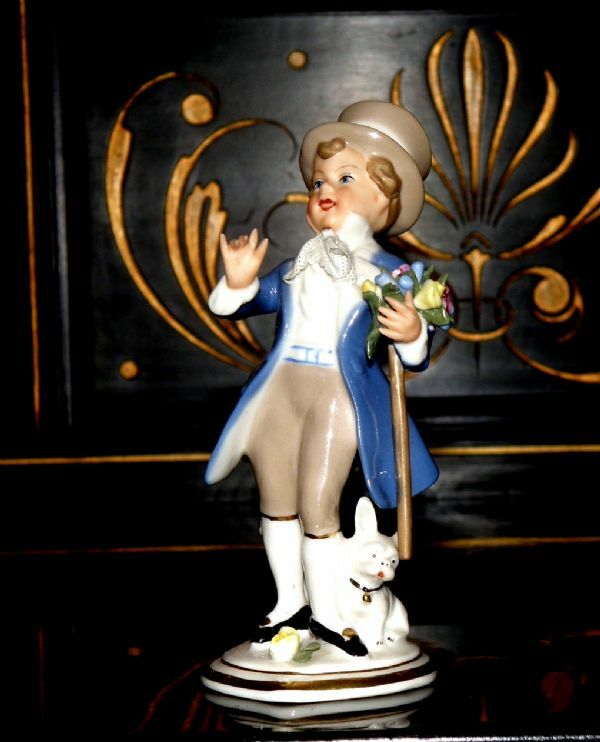 German porcelain figurine and trinket dish.